Demo Africa, self declared Africa’s launchpad for emerging technology and trends is in it’s third round. The event will be happening at the Oriental Hotel in Lagos, Nigeria on Thursday the 25th to 26th of September 2014. In bid to get participants and industry players immerse themselves into what Demo is about, the team has from today embarked on a tour around Africa to get to explain themselves. 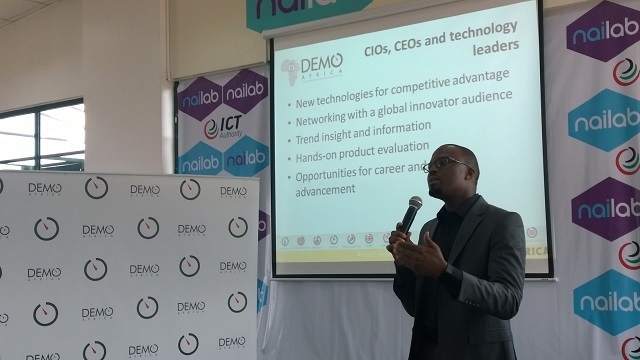 Demo Africa’s last two sessions have been held in Nairobi, this also happens to be the founders home country and where the idea was conceptualized to replicate what happens in the US at Demo. Top among the things targeted by the Demo team during the tour is engage prospective pitch start-ups to let them in on what they need as tools for a good pitch. This and what to expect in preparation for the oh so important 6 minutes pitch in the coastal town of Nigeria come late September. Demo Africa will shortlist 40 applicants from those who will apply from across Africa at the event that will bring together VCs, investors, Tech industry insiders, IT buyers and media. Mbugua Njihia, Executive Producer at Demo Africa recalls the first time he interacted with Demo as part of a start-up that is currently known as Med-Africa and he was very nervous not to disappoint. He added that there in the new world there was both high expectations and skepticism as this was the first time an African start-up was pitching at Demo. For the next Demo Africa event, Mbugua wants the start-ups to be ready. Mbugua said that the fact that the Nigeria government is in full support of the event is a huge plus in that beyond the huge interest by the tech ecosystem in the region. You don’t need to be making money to pitch at Demo, most important is a working prototype. Popular start-ups do not qualify. Pitch at Demo with a mindset of how you can make people want you to take their money. You have 6 minutes to deliver your value proposition at launch, so you need to work on the pitch.